Birthday wishes today to a couple of Bostonians who threw their no-hitters more than a century ago. The Boston Beaneaters’ Jack Stivetts, born 148 years ago today, no-hit the Brooklyn Grooms 11-0 on Saturday, August 6, 1892 at Brooklyn’s Eastern Park. 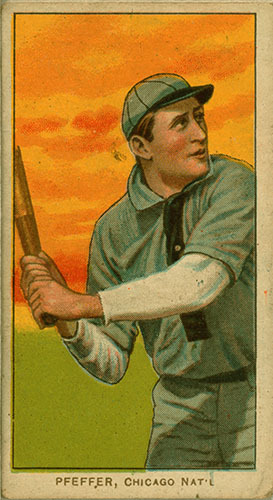 The Boston Doves’ Frank “Big Jeff” Pfeffer, born 134 years ago on this date, no-hit the Cincinnati Reds 6-0 on Wednesday, May 8, 1907 at Boston’s Huntington Avenue Grounds.